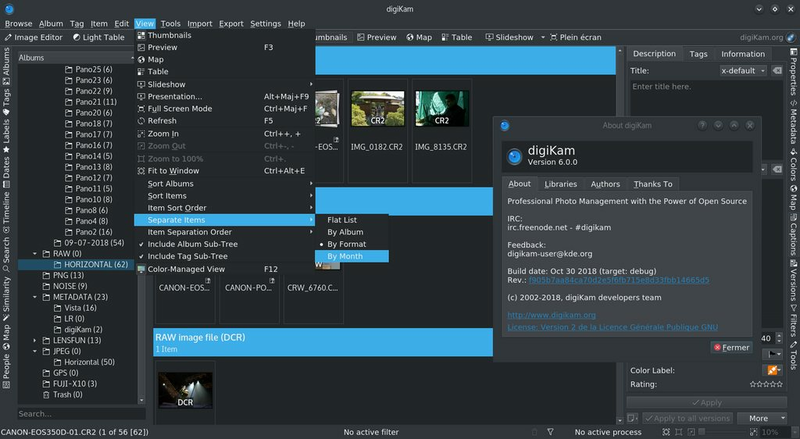 Dear digiKam fans and users, following the long stage of integrating a lots of work from students during the Summer of Code, and after 2 years of intensive development, we are proud to announce the new digiKam 6.0.0. A huge factoring of source code has been done to reduce external dependencies again with the goal to simplify application compilation, packaging and maintenance for the future. The amount of closed reports for this release is 630 files. In parallel to purging pending files in bugzilla, the whole digiKam source code (1.2M lines of C++ code) is parsed by three static source code analyzers (open-source): Clang scan-build, CppCheck, and Krazy. We have reduced to the minimum all reports generated by these tools and discovered some important in-deep dysfunctions. This also permits to review automatically all code written by students, before transitioning these implementations to production. With this new release we are following the Exiv2 project which has released their new stable release 0.27.0. 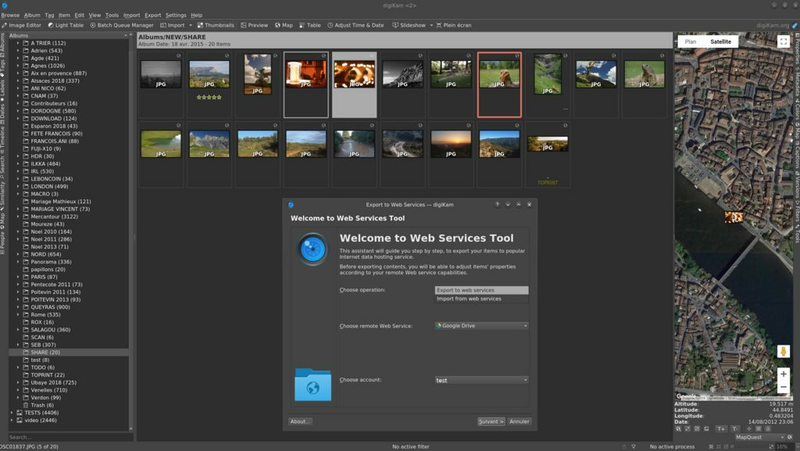 This library is a main component of digiKam used to interact with file metadata, like populating database contents, updating item textual information, or to handling XMP side-car for read only files. 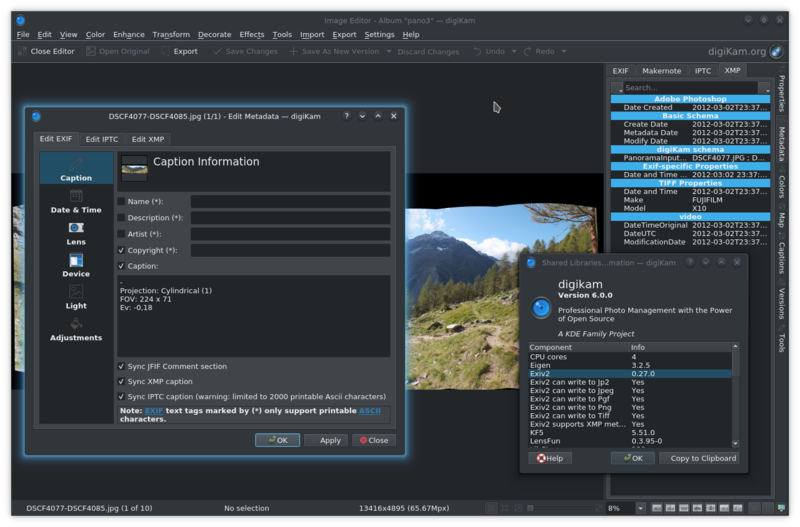 digiKam 6.0.0 has been fixed to support the new API of this library. With this new release the famous TimeAdjust tool is back to quickly patch time-stamp of items, without having to use the Batch Queue Manager workflow. Adjusting the date is a common task that wont necessarily require as complex a tool as BQM. 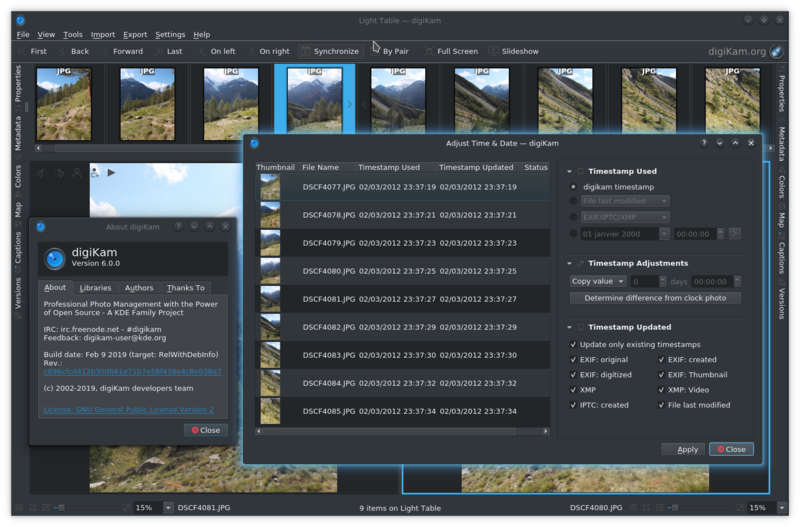 In all cases, even if TimeAdjust tool is now available everywhere in AlbumView, ImageEditor, LightTable, and Showfoto, a workflow with the possibility to fix date is always available in BQM as with previous releases. This will speed-up the investigations in the future to process Windows bug entries, without having to ask end-users to install a debugger and run the application in it. 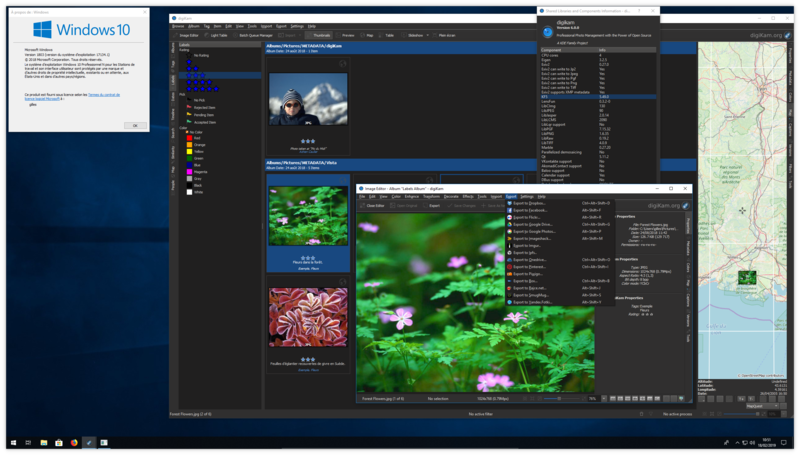 A recent example of DrMinGW feedback running digiKam under Windows can be seen on this file, with a clear crash located in Exiv2 shared library. So a new interface has been created, to access core application data, independently. Remember that Showfoto does not use a database, so we need a high level interface to define how to read or write data in core application. 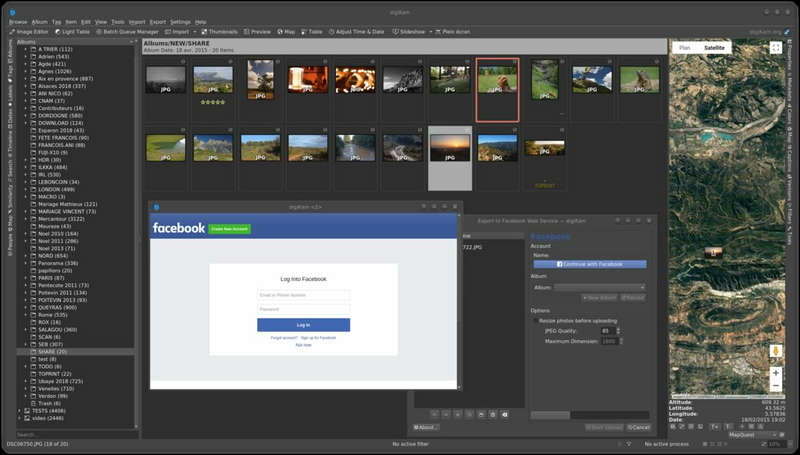 This interface is implemented with database support in digiKam and with more basic low level metadata access with Showfoto. 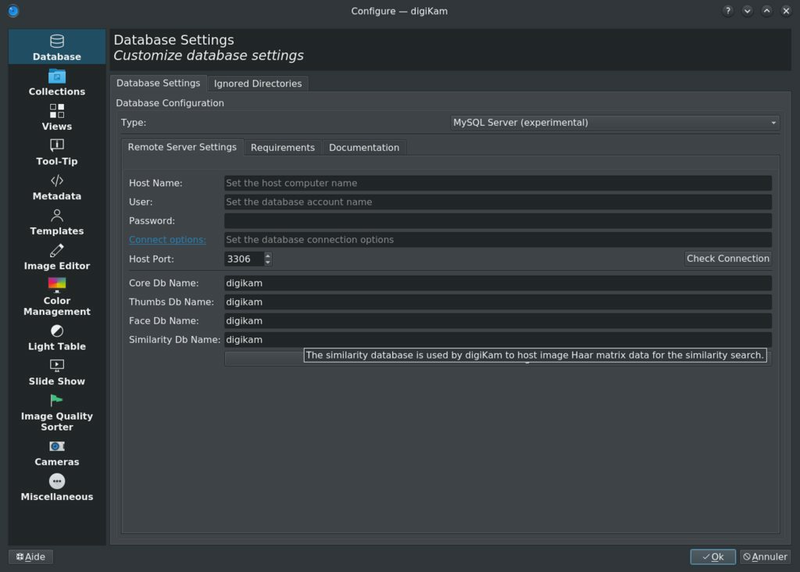 This feature was a long time wish in bugzilla, with many votes to see this functionality implemented in digiKam core. It’s now done for this 6.0.0 and everything is functional. The icon items position is recorded in digiKam database to be restored between session. You need of course to select the right sort option in the items menu. 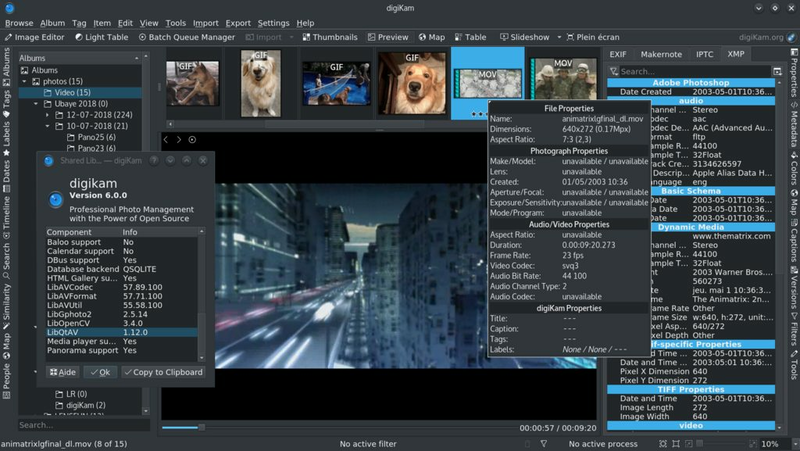 digiKam 6.0.0 source code tarball, Linux 32/64 bits AppImage bundles, MacOS package and Windows 32/64 bits installers can be downloaded from this repository.